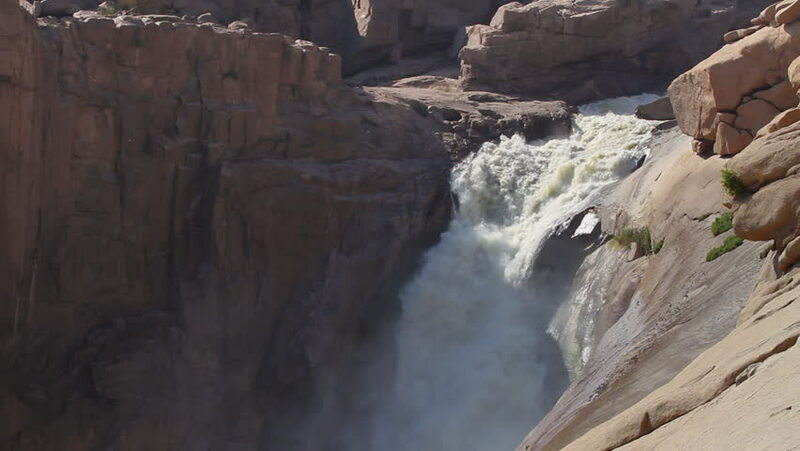 Wide shot of the Augrabies Falls in the Northern Cape of South Africa. The Orange River flows down at this point, sometimes causing dramatic flooding in this semi-desert area. hd00:16Rapid waterfall from a cliff of Mumlava stream in autumn, Czech Republic.